Making Sense is a time for student-led collaborative problem solving. Students of all learning levels must make sense and persevere through mathematical tasks. This rotation provides ample opportunities for students to work with partners, small groups, even homogeneous and heterogeneous settings. Making Sense tasks and activities are based on the needs of the students and require explicit instruction for students to be successful. How do we start Making Sense? During the first few days of school, a whole group lesson about "A Great Discussion" is necessary. While teaching this lesson, the teacher should create an anchor chart that explicitly states the expectations of "A Great Discussion" as seen in this image. 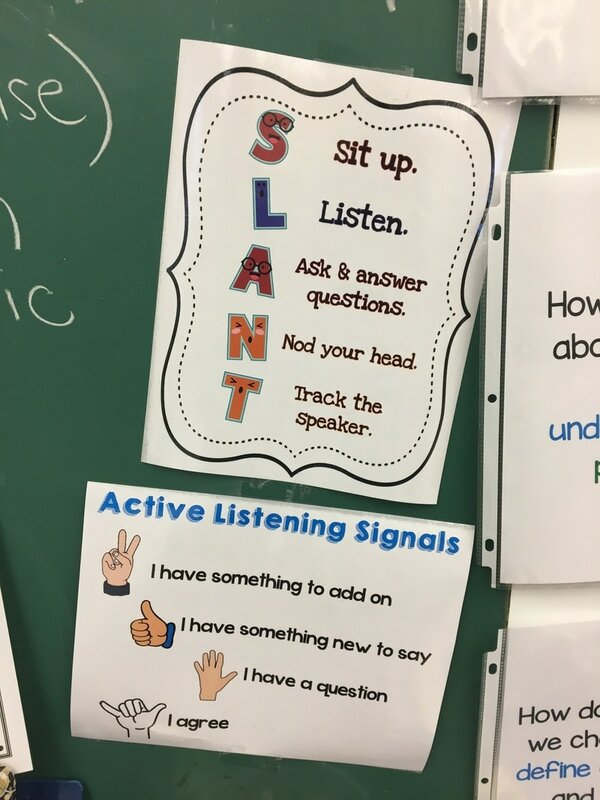 After expectations are established and practiced in whole and small group situations, students can begin working on Making Sense activities in small groups with the teacher circulating the room. When a situation arises that needs addressing, the teacher should stop the activity and bring the class together to discuss the expectation that was not met or to highlight a group that exceeded expectations. This component is extremely important to the implementation of Making Sense. A tremendous gathering of resources for all grade levels. Be sure to find resources that allow for collaboration among peers, mathematical reasoning, and problem solving strategies. Making Sense binders are the best way to keep the resources organized for each math unit. 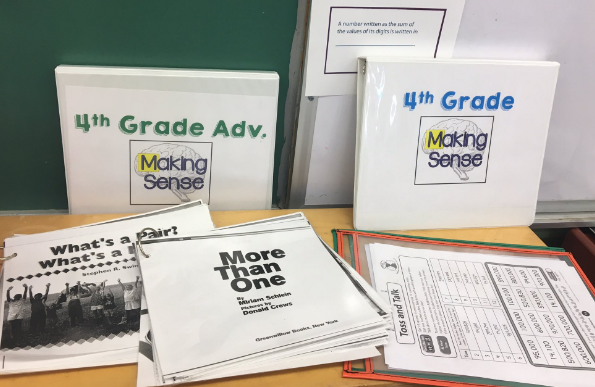 Students have access to all of the Making Sense activities throughout the unit and can pace themselves or refer back to past Making Sense tasks. Other Making Sense tasks and activities can be saved in workshop bins, kept as laminated books, or posters for students to use throughout the math unit. Students working in small collaborative groups at Making Sense. 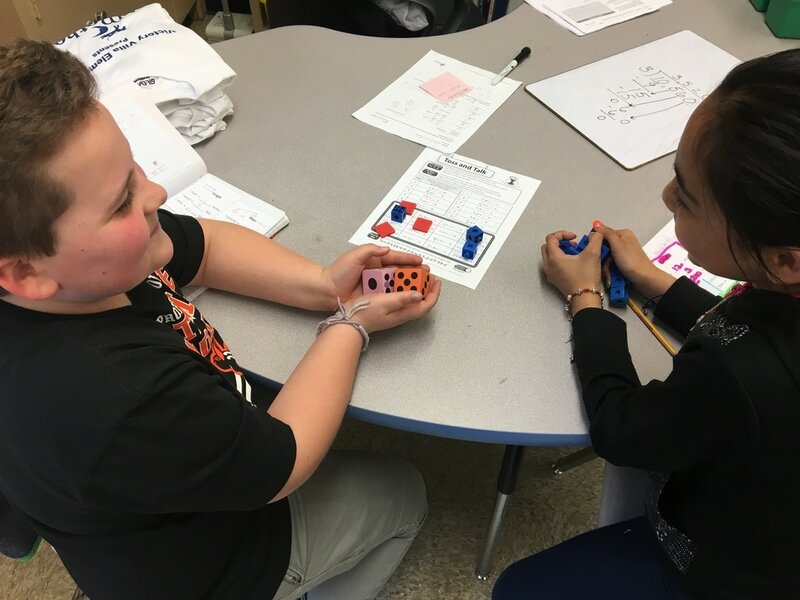 Students read the problem together, discuss the task and procedures to solve, work through the problem, discuss their problem solving strategies and solutions, then check their understanding.